Fusion(27) 2006-2012. 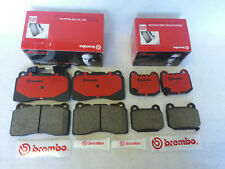 PREMIUM Front & REAR CERAMIC BRAKE PADS. 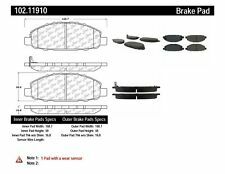 Item Includes:FRONT & REAR CERAMIC BRAKE PADS (FULL SET) This part fits the vehicles listed below:FORD(27) 2006-2012. INFINITI FX50 All 2009-2013. NISSAN 370Z NISMO All 2009-2016. NISSAN 370Z SPORT All 2014-2015. INFINITI G37 SPORT All 2008-2013. NISSAN 370Z 40TH ANNIVERSARY All 2010. The Hawk Performance Ceramic pads are engineered to reduce brake noise, vibration, and harshness creating a quieter performing brake pad. 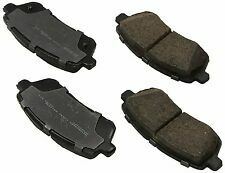 Premium front ceramic brake pads for the front wheel of rear disc brakes. Town & country van(16) 2001-2007. This part fits only the vehicles listed below:CHRYSLER(33) 2001-2007. Mercedes-benz(10) 2000-2005. Ml430(2) 2000-2001. 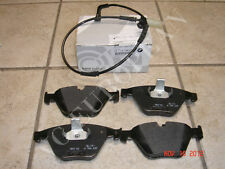 Item Includes:1 BRAND NEW SET OF BRAKE PADS ( 4 PIECES ) 2001 V8-4266cc 4.3L F/I Vin 113.942. 2001 V8-5439cc 5.4L F/I. 2000 V8-4266cc 4.3L F/I Vin 113.942. 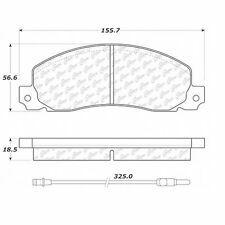 1 - Rear Brake Pads 330mm Disc - BP978- Bosch QuietCast 1 - Front Brake Pads 350mm Disc - BP1014 - Bosch QuietCast Minimum 18" Wheels New - Bosch QuietCast BP1014 / BP978 / 7L0 698 151 R / 7L0698151R / 7L0698451D Brake Pads Kit..
To ensure vehicle safety, it's important to have a perfectly functioning brake system. This includes brake pads, which provide the friction needed to slow vehicles. There are several types of available brake pads and parts, and drivers should understand the differences before selecting new parts for their car or truck. 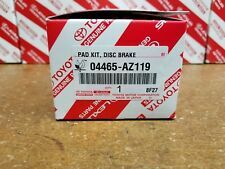 What is the purpose of brake pads? To decelerate a moving vehicle, the kinetic energy propelling it forwards has to be converted into thermal energy. The brake pads provide a necessary lining that optimizes this energy conversion. 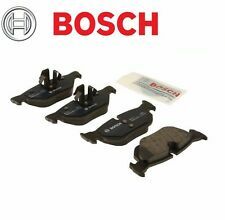 High-quality brake pads need to possess a constant friction value, excellent temperature resistance, and sufficient mechanical strength. Semi-Metallic: Semi-metallic pads combine inorganic fillers, modifiers, and an assortment of metals. Most of them feature metals like graphite, copper, steel wool, or iron powder. They earn safety points for their durability. Ceramic: Ceramic pads are clean and quiet. They are made of a mixture of bonding agents, fillers, and ceramic fibers. They may also contain small traces of metal. Nonasbestos Organic: These pads are soft and reduce brake noise. They're primarily made of fibers like carbon, rubber, and glass, which are mixed with fillers and high-temperature resins to achieve a soft pad material. Low-Metallic NAO: To create these, a small amount of steel or copper is combined with an organic formula. These are the least common choice. 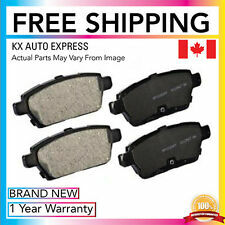 Do different driving styles require different brake pads? 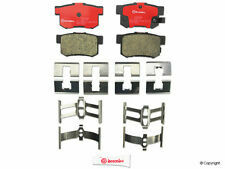 When selecting a type of brake pads, drivers should always consider how they use their vehicle. The different types of pads offer different driving performances. Towing: When equipping a towing truck with pads, consider selecting ultra-durable metallic options. They are great for trailers and large trucks. Commuting: Normal commuters value smooth, quiet braking capacity. Organic and ceramic pads are ideal for the average commuter, as they're quiet, durable, and smooth to stop. 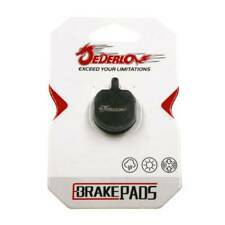 Off-Roading: Drivers who go off-road need heavy duty pads. Metallic styles are recommended for optimum performance. These brake parts are used in drum brake systems. These systems tend to be used in trucks and compacts, thanks to their durability and simplicity. Like brake pads, they are responsible for slowing down a vehicle. They are attached to a wheel cylinder; when the brake is depressed, the cylinder pushes the each shoe outward, where they rub against the drums. This forces the spinning drums to slow to a halt, and in turn slows down the automobile.